When you feel your best, it’s only natural to want to document that moment with a selfie that shows off your gorgeous features. At Cherry Lash, we want to help you make those days of looking fabulous more frequent by giving you amazing eyelash extensions that you will love! Instead of spending hours in front of the mirror trying to perfect your makeup and get long, thick eyelashes with layers of mascara, eyelash extensions will provide you with the red-carpet-ready lashes you have always wanted without any of the hassle. Choose from our three base eyelash extension packages and our expert lash artists will work with you to customize the length, thickness, and curl of your beautiful new lashes. Interested in learning more? Contact Cherry Lash in Henderson or Las Vegas to schedule an appointment today! If you start the day with your makeup, hair, and outfit all looking on point, it’s important that you take a picture to commemorate that moment. With that in mind, when you receive eyelash extensions, you may find yourself taking even more selfies than before because you can’t get enough of your amazing lashes. In part one of this series, we will give you a few tips on how to perfect your selfies so that you can show off your luxurious lash extensions. The most important thing to remember when taking a selfie is the lighting. While some may think that shadows or hardly any lighting gives your selfie and ominous look, it’s not the best practice for taking an amazing photo. The whole reason you’re taking a selfie is to show off your beauty, therefore you want the lighting to be just right in order to enhance your features. If you’re taking a photo during the day, use as much natural lighting as possible. The best way to take a selfie with great lighting is to stand outside. However, if you’re worried about getting weird looks from your neighbors, take your photo near a window. That being said, never take a photo with your back to the window unless you want to be completely in the dark. If you want to enhance your features using natural light, be sure to directly face the window in order to illuminate your entire face. Another important tip for taking a great selfie is to be aware of the background of your photo. Truly noteworthy selfies typically have one of two backgrounds — interesting or simple. Interesting backgrounds include beautiful landscapes, or even some sort of fun experience. For example, you may decide to take a selfie while you are rock climbing and the background shows how you are from the ground. On the other hand, a simple background can be something like a plain-colored wall, or even something with a fun design. Essentially, you want to avoid a background that has too much going on and takes away from your appearance. Anyone can take a selfie where they use the dog-ear filter stick out their lips in the classic “duck face”. If you really want to take a selfie that stands out, you want to avoid doing any cliché poses. A good rule of thumb when taking a selfie is to avoid any poses that you may find on a middle schooler’s facebook page. Avoid any peace signs or gang signs. Instead, be yourself and act natural, don’t overthink your pose. When taking selfies, there is no guarantee that the first photo will be the perfect selfie. In fact, it may take a few tries before you take a photo that you can deem Instagram-worthy. In order to take the perfect selfie, it’s important that you take more than one. Even professional photographers may take hundreds of photos during a shoot only to come away with a handful that they actually like. The key is to be patient and try a few different angles until you take a photo that shows your best self. For some, the opportunity to take a perfect selfie may only come around every once in awhile, but if you get eyelash extensions, you may find yourself taking more selfies than you would like to admit. With eyelash extensions from Cherry Lash, you will wake up each day with gorgeous eyelashes. Gone are the days of applying layer after layer of mascara in order to lengthen your lashes. With Cherry Lash eyelash extensions, you can make a statement and turn heads every time you enter the room. Learn more about our lash extensions and contact Cherry Lash in Las Vegas or Henderson to make an appointment today! In the meantime, keep an eye out for part two of our series for more tips on how to take the perfect selfie. There’s no better way to start your day than by waking up with gorgeous eyelashes. While this may feel like a dream to some that will never come to pass, you may be surprised to learn that achieving the long, thick eyelashes of your dreams can be a reality! At Cherry Lash in Las Vegas, our talented lash artists can offer you high-quality lash extensions. Are you looking to enhance your natural lashes and make them stand out? Do you want to make a statement every time you step into the room? At Cherry Lash, we offer three base lash extension packages. From there, our lash artists will work with you to customize the length, thickness, and curl of your new eyelashes. If you’re ready to get started, contact Cherry Lash in either Las Vegas or Henderson to schedule an appointment today! Finally achieving the gorgeous lashes that you’ve always wanted may seem too good to be true, and you may be wondering if there’s a catch. As with any cosmetic service, there is a certain amount of maintenance that you will have to do to ensure that your lashes look their best. Additionally, it’s important to note that lash extensions don’t last forever, and in order to keep them looking full and healthy, you will periodically have to get them filled. In today’s post, we will discuss how long eyelash extensions last and list a few things you can do to ensure that you get the most out of your lashes between fillings. At some point in your life, you’ve probably brushed an eyelash off of a friend’s face or accidentally dislodged one when you were rubbing your eye. When this happened, you probably thought nothing of it. That’s because, much like your hair, your eyelashes go through a natural growth cycle. As new eyelashes begin to grow, your old eyelashes will naturally fall out. So what does the natural growth cycle of your eyelashes have to do with your eyelash extensions? Many people think that lash extensions are attached to your eyelid, but they are actually attached to your natural eyelashes using a special adhesive. Each individual lash extension is carefully attached to an individual eyelash, which is why the process of receiving eyelash extensions can take up to two hours or more. Because your lash extensions are attached to your individual lashes, they will fall out as your natural lashes go through their growth cycle. As a result, most lash salons recommend that you make an appointment to have new extensions attached every three to four weeks. The thought of losing your eyelash extensions and having to get new ones every few weeks may be a bit unnerving. However, you may be relieved to know that there are a few things that you can do to ensure that you will get the most out of your lashes before you have to make another appointment. The first thing you need to do is make sure that you properly care for your lashes. If you are rough with your lash extensions or don’t give them the proper maintenance in between appointments, then you may find that you need to fill them more frequently. The most important thing that you should keep in mind is not to pull, tug, or rub your eyelashes. If you are rough with your lash extensions, there is a good chance that you will accidentally pull some out. With that in mind, you should also try to avoid touching your lash extensions as much as possible, especially in the beginning. If you are interested in learning more about caring for your eyelash extensions, check out our previous post, where we outline a few ways to care for your gorgeous lashes. Are you interested in receiving amazing lashes that will make your eyes pop, then visit Cherry Lash! We have two convenient locations in Las Vegas and Henderson, and our expert lash artists will work with you to help you achieve the lashes that you have always dreamed about. Browse our website to learn more, and give us a call to schedule your appointment today! https://www.cherrylash.com/wp-content/uploads/2018/07/CherryLash_Blog_FeatImage_How-Long-Do-Eyelash-Extensions-Last.jpg 630 1200 admincherry https://www.cherrylash.com/wp-content/uploads/2017/10/CherryLash_new-logo-horizontal-300x85.png admincherry2018-07-17 09:50:252018-09-05 09:50:41How Long Do Eyelash Extensions Last? Your eyes are a prominent feature on your face, and they play a large role in your overall appearance. Much like a variety of other features, eyes come in numerous shapes and sizes. Knowing and understanding the shape of your eye can help you determine what style of makeup or eyelash extensions will look best. While your lash artist will be trained to recognize your eye shape and determine the type of lashes that will give you the best results, it’s also a good idea to know what type of eye you have so that you have a better understanding of what to expect when you go to your appointment. In today’s post, we will help you determine your eye shape by providing you with a brief description of some of the most common shapes. At Cherry Lash, we want you to love your new lashes. Whether you’re looking to wow the crowd with bold, fierce eyelash extensions, or you’re more interested in enhancing your naturally good looks, our expert lash artists will work with you to make your dream lashes a reality. We offer three base lash extension packages, and from there, we can customize the length, curl, and thickness to deliver the style that you desire. Learn more about our eyelash extensions, and contact Cherry Lash to schedule an appointment at one of our two convenient locations. When it comes to eyelash extensions, you may think that all extensions are the same. However, individual lashes are strategically placed to give you the appearance that you want, as well as to brighten and enhance the shape of your eye. In a previous post, we discussed some of the popular styles of eyelash extensions. Some of these styles may look better with certain eye shapes than they would with others. Knowing your eye shape will help you to determine which style you would prefer. Eyelid – Look to see if you have a crease in your eyelid. Depending on your eye shape, you will either have a crease, you won’t have a crease, or you will have a crease but it will be covered by an extra flap of skin. Whites of your eyes – In order to determine the difference between round and almond-shaped eyes, you will have to see if the whites of your eyes are visible around your iris. Outer corner – Determine whether or not the outer corner of your eye is straight, flips up, or flips down. Space between your eyes – Certain eye shapes may be set wider or narrower than others. Each area will help you narrow down the specific shape of your eye, and you may find that your eyes are unique and fit into multiple categories. Once you have taken the time to thoroughly examine your eye, the next step is to use those features to determine the shape of your eye. If you look at your eyelid and don’t see a distinctive crease, it indicates that you have a monolid. This eye shape is identified by a flat space between your eye and your eyebrow that has a very little crease if at all. On the opposite side of the monolid, we have hooded eyelids. While monolids are distinguished by no crease, those with hooded eyelids have a crease, but it is hidden underneath a flap of skin. You can develop a hooded eyelid over time as your skin starts to lose elasticity, but it is possible to be born with this type of eye shape. Almond eyes are one of the most coveted eye shapes. As the name suggests, the shape of the eye resembles the shape of an almond. When you look at your face, you should see a visible crease, and when you look closely, you won’t see any white on the top or bottom of your irises. Upturned eyes look very similar to almond eyes with one distinction. At the outer corner of your eye, you will notice that the corners turn upwards slightly. This can be difficult to determine, so one trick you can use is to imagine that there is a straight line across the center of your eye. If the outer corners of your eyes lay straight, then you most likely have almond eyes, but if the outer corners turn upwards above the imaginary line, then you have upturned eyes. This eye shape is very similar to the two listed above. However, the outer corners of your eyes will turn downwards instead of laying straight or turning upwards. If you’re unsure if you have downturned eyes, you can use the same trick that was used for upturned eyes. Get Your Eyelash Extensions Today! The eye shapes listed above are only a few of the most common shapes. Knowing your eye shape may help you determine which eyelash extensions will look best with your eyes. At Cherry Lash, we make it our mission to help you get lash extensions that you will love. To learn more or to schedule an appointment with one of our expert lash artists, contact Cherry Lash in Henderson or Las Vegas today. Eyelash extensions are a great cosmetic treatment for those who want to improve their appearance with gorgeous, thick eyelashes. If you have recently decided that lash extensions are for you, the next step is to decide what sort of style you want to achieve. You may think that lash extensions are pretty straightforward. However, different lengths of lash extensions can be applied in such a way to create different looks. In today’s post, we will discuss a few of the most popular types of eyelash extensions and how they appear on different types of eyes. At Cherry Lash, we want you to love your new lashes, which is why our expert lash artists will work with you to customize your lashes to fit your exact specifications. Whether you want to enhance your natural eyelashes or you want to make a bold statement, we can do it all! To learn more about Cherry Lash, browse our website or contact one of our two convenient locations in Las Vegas and Henderson to schedule your appointment today! In the meantime, continue reading below where we discuss a few popular styles of lash extensions. Most eyelash extension styles involve playing longer or shorter lashes on different parts of the eye to create a certain look. With the staggered style, however, the lash artist will alternate using shorter and longer lashes, giving your lashes a full and thick appearance. If you’re interested in creating voluminous lashes, then this is a great option. The cat eye style is one of the styles where the lash artist will use longer lashes in one area and shorter lashes in another. In this case, longer lashes will be placed on the outer corner of your eye, while shorter lashes are used along the rest of the lash line. This style gives your eyes a longer and wider set appearance much like a cat. As a result, cat eye lash extensions are wonderful options for those who have eyes that are closer together or more round in appearance. Did you ever envy the look of your doll’s lashes and eyes as a child? With the doll eyelash extensions, you can achieve the wide-eyed innocence you always admired. This style is applied using longer lashes in the middle of the eye with shorter lashes on the inner and outer corners. By applying the longer lashes in the middle, you add length to the widest part of your eye, making your eyes look bigger and brighter. Natural lash extensions are one of the most popular styles. If you’re interested in getting eyelash extensions but you’re worried about them looking too fake, then this is the style for you! Your lash artist will examine your natural eyelashes and apply the extensions according to the natural lengths of your lashes, while also placing any longer extensions towards the middle. This will create a more natural look, making your eyes look bigger and brighter without being too flashy. These are just a few of the most popular styles that are available when you choose to receive eyelash extensions. At Cherry Lash, we offer three base packages, but our lash artists will also work with you to customize the length, thickness, and curl to fit your preference. Contact Cherry Lash in Las Vegas or Henderson to get started today. Your wedding is one of the biggest days of your life. From your hair and makeup all the way down to your pedicure, you want everything about your wedding day to be perfect. One way that you can ensure that you will look your best on your big day is to get eyelash extensions! Not only will you not have to worry about your makeup running as you dance the night away, but once the veil comes off, your gorgeous, thick lashes will last. If you’re interested in taking your beauty to the next level on your wedding day, then Cherry Lash in Las Vegas or Henderson can help! We offer high-quality eyelash extensions in three different styles. Whether you’re looking for bold extensions that will make your eyes pop or all you’re interested in is enhancing your natural lashes, we can help. 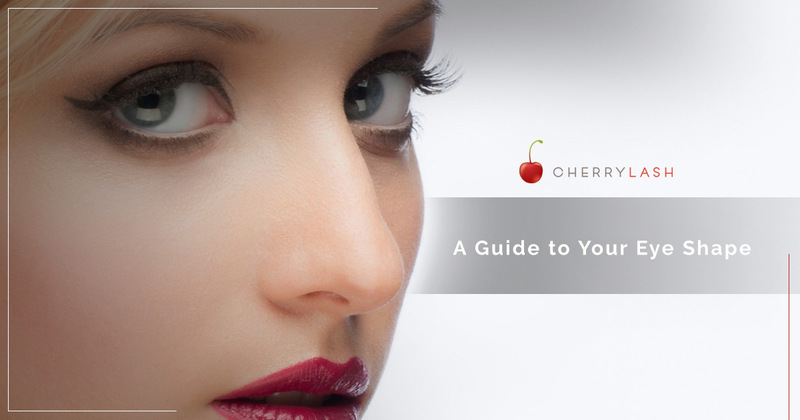 Interested in learning more about Cherry Lash? Give us a call to schedule an appointment! In the meantime, continue reading below where we discuss why you should consider getting eyelash extensions for your wedding day. There’s no question that your emotions will have a mind of their own on your wedding day. As much as you tell yourself that you’re not going to cry, there’s a good chance that you’ll become overwhelmed by emotion as you stand with your life partner and say your vows. Getting emotional is completely normal at a wedding, but if you’re planning on taking pictures with your spouse after the ceremony, you may find yourself worrying about your makeup surviving the tears. However, if you have eyelash extensions, you won’t have to worry about mascara streaming down your face or fake lashes coming loose. The adhesive used for lash extensions is typically water resistant, meaning that a few tears won’t ruin your look. Wanting to look your best usually involves hours in front of the mirror and layer after layer of mascara in addition to various other tweaks and touch-ups. Once the wedding is over, you remove your makeup and all that is left are the wedding photos. With eyelash extensions, that doesn’t have to be the case. Because eyelash extensions last longer than one night, you will be able to feel confident and beautiful well into your honeymoon. Not to mention, on your wedding day, you will be able to wear less makeup than if you were to try and achieve voluminous lashes with just a mascara wand. Prior to your wedding, your lash artist will work with you to create the look you want for your wedding. You will be able to decide whether you want thick eyelashes or a look that is slightly more dramatic than your everyday appearance. The choice is up to you! Most lash artists will insist that you schedule appointments in advance, meaning you will also be able to see how your gorgeous lashes look during your trial hair and makeup appointments. Schedule an Appointment With Cherry Lash! At Cherry Lash, we work hard to help our clients achieve the gorgeous eyelashes that they’ve always desired. Whether you’re interested in getting lash extensions for a special occasion like your wedding or you want to enhance your everyday appearance, we can help! Browse our website to see client photos and learn more about Cherry Lash and be sure to give us a call to schedule your appointment today! The warm weather of summer doesn’t just mean days at the pool, backyard BBQs, and concerts. It also means that you have the opportunity to try out some of the summer’s hottest trends. Whether you want to experiment with different hairstyles or update your wardrobe, summer is the perfect time to get a little wild! In today’s post, we will talk about a few of the makeup trends that you will see popping up this summer. If you’re doing your best to fill every moment of your summer with fun activities, then you don’t want to have to worry about fixing your makeup before every event. Luckily, with eyelash extensions from Cherry Lash, you can save time on your morning routine and have gorgeous lashes all day long! With our lash extensions, you will wake up every morning with beautiful, thick eyelashes. Our lash artists will work with you to pick one of our three base lash extension packages and then customize the thickness, curl, and length to fit your desired appearance. Instead of spending every morning perfecting your look with layers of mascara or false eyelashes, you can wake up and hit the ground running! Browse our website to see photos of our satisfied clients, and be sure to schedule an appointment with Cherry Lash today! There’s no doubt that you will see a lot of bright colors this summer, but if you’re looking for a more subtle way to add a little flair to your look then a soft, orange eyeshadow is the way to go! Orange is the color of sunshine and summer, and adding a bit of that sun-kissed color to your eyelids will really make them pop! This is the perfect look for a day at the beach or a carnival with your best friends. For those who plan on doing it all, you need a routine that requires as little effort as possible. This summer, one of the hottest makeup trends is actually to wear no makeup at all! During the summer, you want to spend as much time as possible enjoying the sun and spending time with friends. The last thing you want is to spend an hour or more each morning getting ready and doing your makeup. The all-natural, no-makeup look is perfect for those who like to do the bare minimum in order to enjoy the rest of the day. Going without makeup doesn’t mean your look has to be any less beautiful. With eyelash extensions from Cherry Lash, your eyes will look bigger and brighter than ever before. In fact, most of our clients stop putting on makeup once they get their eyelash extensions because they don’t feel like it’s necessary. Want to try it out for yourself? Schedule an appointment with Cherry Lash today! If you’re someone who likes to wear a variety of different colors, then the idea of monochromatic makeup may not sound very appealing. However, the outcome of this look is absolutely fabulous and super easy to make a part of your regular routine! The idea of monochromatic makeup is to take one color or shade and apply it everywhere from lips to face. No, we’re not saying you should use your favorite eyeshadow as a lipstick, but if you have a favorite color, the idea is to find the same or a similar shade that you can wear everywhere. The result is a very put-together look that feels almost satisfying in a way. If you’re feeling really bold, you can even try and use that color on your nails, or even tie it into your wardrobe. Bring out your inner mermaid with beautiful blue eyeshadow. Bright colors are sure to make a splash this summer, but many fashionistas are predicting that the hottest trend of the summer will be blue eyeshadow. There are so many different hues of blue that you’re sure to find something that matches both your skin tone and your outfit. While some may choose to rock the blue eyeshadow, other may choose a more bold statement of blue mascara or pastel blue eyeliner. No matter how you decide to wear it, blue is making it big this summer. Get Bold, Thick Lashes From Cherry Lash! There are so many ways that you can paint your face this summer, but if you’re looking for a way to make a statement with as little effort as possible, then lash extensions are the way to go. At Cherry Lash, we can work with you to give you amazing lashes that are guaranteed to turn heads as soon as you enter the room. Whether you’re looking to make a bold statement with red-carpet-ready lashes or you’re wanting to enhance your natural lashes, we can do it all. Check out our locations in Las Vegas and Henderson and schedule an appointment with Cherry Lash today! Eyelash extensions are a great way to enhance your natural beauty and add volume to your existing lashes. They can also help you save time on your morning routine! If you’ve recently decided to invest in lash extensions, it’s important that you understand the process and learn everything you can about your lash artist. In today’s post, we will discuss a few questions that you should ask your lash artist before you go into your appointment. At Cherry Lash, our lash artists go through extensive training that allows them to provide you with gorgeous, thick eyelashes. Whether you’re looking to enhance your natural lashes or you’re interested in red-carpet-ready lashes that will turn heads, we can make it happen. Choose from our three styles and one of our lash artists will work with you to customize the length, thickness, and curl to make your new lashes everything you ever wanted. Browse our website to learn more about lash extensions, and contact Cherry Lash in Las Vegas or Henderson today! This is the first question you should ask your lash artist before you get your lash extensions. Unfortunately, there are many people offering lash extensions without a license. In order to ensure you are getting top-quality eyelash extensions, you want to be sure that you are seeking extensions from a professional. Some places may give you the option to choose the skill level of your lash artist, offering a discount for the less-skilled artists. That being said, it is always important to ask if your lash artist is licensed before they start work on your lashes. Not only is this questions good to know if you’re thinking about getting lash extensions, but it will also help you get to know your lash artist. As we mentioned above, there are some lash salons that give you the option to choose the skill level of your artist. While the highest skill level has most likely been doing lash extensions for longer, there is no harm in asking. The same goes for the lowest skill tier. Having a newer lash artist doesn’t necessarily mean that you won’t receive quality eyelash extensions, especially if your lash artist went through rigorous training. Not to mention, new lash artists could still have a year or two of experience! How do I make my lash extensions last as long as possible? In previous blogs, we’ve mentioned that your natural lashes go through a growth cycle where they will naturally fall out and be replaced by new lashes. Because your eyelash extensions are attached to your existing lashes, it is completely normal that they will fall out when your natural lashes do. That being said, there are a few things that you can do to ensure that you get the most out of your eyelash extensions before you need to come in for a filler. High-quality lashes and adhesive – Be sure that your lash artist is using high-quality lash extensions and adhesive. Using quality materials will help your extensions securely bond with your natural lashes, avoiding any unnecessary loss of your extensions. Use an oil-free makeup remover – If you choose to wear makeup with your eyelash extensions, make sure that it is all oil-free, as oil will counteract the adhesive and wreak havoc on your lashes. In addition to wearing oil-free makeup, it’s important that you use an oil-free makeup remover. Additionally, be sure to use a cotton swab when removing makeup near your lashes to avoid accidentally pulling any out. How often do I need to get my lashes filled? As we mentioned above, your lashes go through a natural growth cycle. Your eyelash extensions typically last between 30 to 60 days with proper care. Within that time, you will come back to the lash salon and have one of our lash artists apply fillers to help you maintain your gorgeous, thick eyelashes. However, the time in between appointments depends on how well you maintain your lashes after they are adhered to your natural lashes. Visit Cherry Lash In Las Vegas or Henderson! 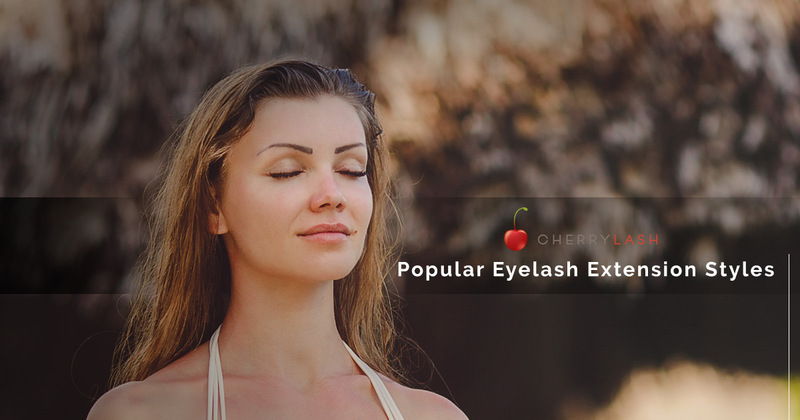 If you are interested in getting top-of-the-line eyelash extensions, then visit Cherry Lash. We have two locations for your convenience, and our lash artists go through extensive training to ensure that they deliver the lashes that you have always wanted. Browse our site to learn more, or contact Cherry Lash in Las Vegas or Henderson to get started today!